You all know how much we love the juice being released from Teeling. 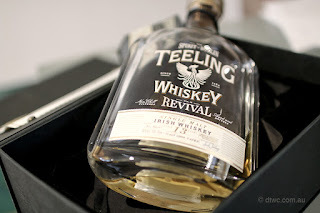 Recently we had our hands on a bottle of Teeling Revival II Single Malt Whiskey Aged 13 Years finished in ex-calvados casks. The packaging and bottle are pretty special just in their own right. Delivered in a black double fold solid box it is opened to display snuggly fitted magnificent bottle complete with gold metal stopper. Handling the bottle is a pure pleasure with the smooth sides and wide face. It will take pride of place on any shelf. As noted in the description it is initially aged for 13 years in ex-bourbon before finishing in ex-calvados casks. For those that do not know calvados is apple brandy. That is to say apple juice fermented into cider which is then distilled. 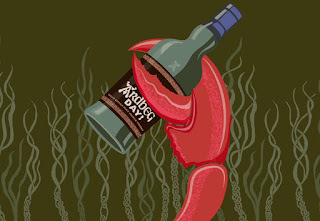 To retain the appellation Calvados, it must me grown, distilled, aged for a minimum of 2 years in Normandy, France. Nose: Bright fruity and vibrant. Delicious notes of sugary pears, apple flesh, malt grain and raspberry juice fruits. Taste: Rounded and rich with elements of white sugar, apple pastry, grain, malt, white pepper and finally just a little bit oily. Finish: Long spicy and fruity with the oak only coming through as the heat builds in the palate. Overall it is a really pleasant full bodied whisky. There is a nice balance of spice, pepper, fruit and sugar sweetness. Extremely invigorating through and it does not feel like it has over rested in the casks or the finish. If I was to give a dram then a good 6 out of 7. The price is up there at $160AU but you will not be disappointed at the return, especially if you are buying it as a gift. It looks great and it taste great so what can go wrong. Just note that even though this release is still easily found at most Dan Murphy's here in Australia, this batch has departed and there is now a 14yo hot on its tail finished in ex-Pineau Des Charentes casks. We will be keeping our eyes peeled for that. Let us just start off by saying WOW! What a dram the Glenmorangie Bacalta is. Only recently released, the Bacalta expression is the next in a long line of Private Edition releases coming out of Dr Bill Lumsden's "Cabinet of Curiosities" by this iconic distillery in Scotland. We have had the pleasure of 2 encounters with the Bacalta so far. The first being the offical live tasting with Dr Bill Lumsden via telecast and then only 2 weeks later again with Dr Bill on a Tall Ship in Sydney Harbour. These releases are Dr Bill Lumsden’s experimentation of where he can take the Glenmorangie spirit. The man likes to tinker there is no doubt and though he says how much he likes to play with Madeira wood, on a recent chat with Dr Bill he has pretty much confirmed this will be his last Madeira Wood finish. Simply the casks are very hard to work with, in the throws of death, unpredictable in character, and expensive to cooper. For those that have followed Glenmorangie over the years you would know that Madeira wood finishing is something of a legend with Glenmorangie finishing. This expression certainly has many similarities to their older style Madeira finishes. Expect to find those creamy cake textures, elements of orange citrus, and malty biscuits. 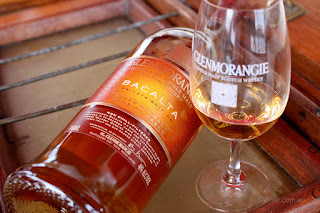 Bacalta, meaning "baked" in Gaelic, refers to the literal hot sun baking of casks filled with Madeira style wine as they are store in hot ceilings of Portuguese bodegas. Bodega can refer to a winery, cellar or warehouse. Regardless of the term the barrels are pretty beaten by the harsh heat treatment causing quick decay of wood and oxidisation of the wine. The casks leak, fall apart, and do not have long to be reused. Like all Glenmorangie there is the beginning of the spirt as what we know to be the Glenmorangie Original. A ten year old whisky and the core spirit that then sees finishing. In this case finishing in American oak hogsheads that previously held Malmsey wine. The wine is aged for around 2 years in Madeira region of Portugal using the wine process of the same name. The Glenmorangie Original whisky is finished in these casks for 2 additional year period. This finishing leaves the whisky textural and a little dirty. Noting this, Dr Bill is very proud of the fact the whisky is bottled at 46% and non-chill filtered in order to deliver these Madeira wood characteristics. Yes expect this whisky to oxidise and quickly cloud up in the glass. Nose: Complex and lush with notes of sweet tea cake, butter, orange citrus and malt biscuits. A densely populate nose that also tingles and drys all at the same time. Do I smell roast duck and orange glaze? Taste: Mouth filling in short. A ballooning effect that is both oily and sweet as more honey and glazed oranges appear. Now you are truly getting the Madeira effect as it also is texturally a bit gritty and burnt. Finish: Not overly long though memorable and tactile. All those things a Glenmorangie delivers but more orange tea cake and citrus pop at the end that eventually turns to a savoury citrus sugar glaze over a roasted duck. Overall it is great expression and one of the more exciting deliveries over the past few Private Edition releases. I love it and makes me hungry. I really urge you to get out there and try this whisky either at a bar or simply buy a bottle yourself. You will not be disappointed. If I was to give a dram then it would be a 6 out of 7. What a dram! So for those Sydney locals loving all thing smoky from Beam Suntory, the annual Smoky Christmas is back. 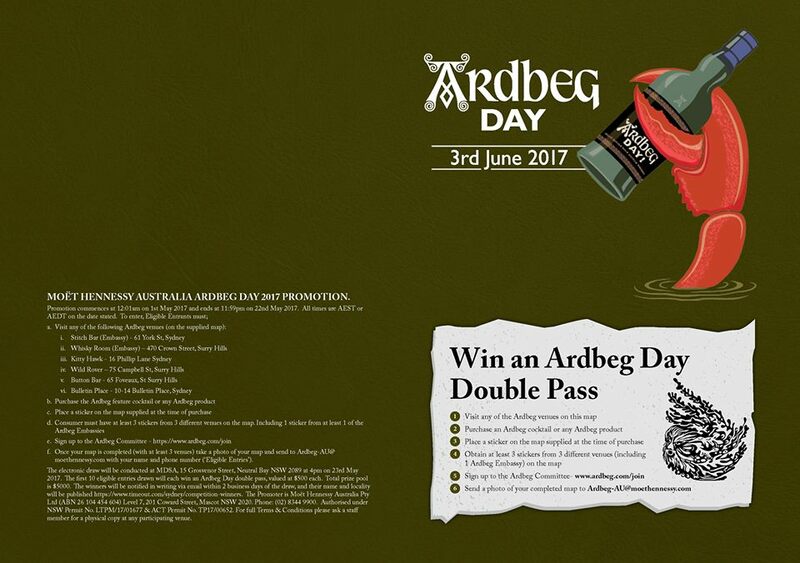 This event is for both bar and whisky industry folks as well as general public who want to get involved and share a few drams. Bar and whisky industry entry from 3pm and public entry from 6pm. 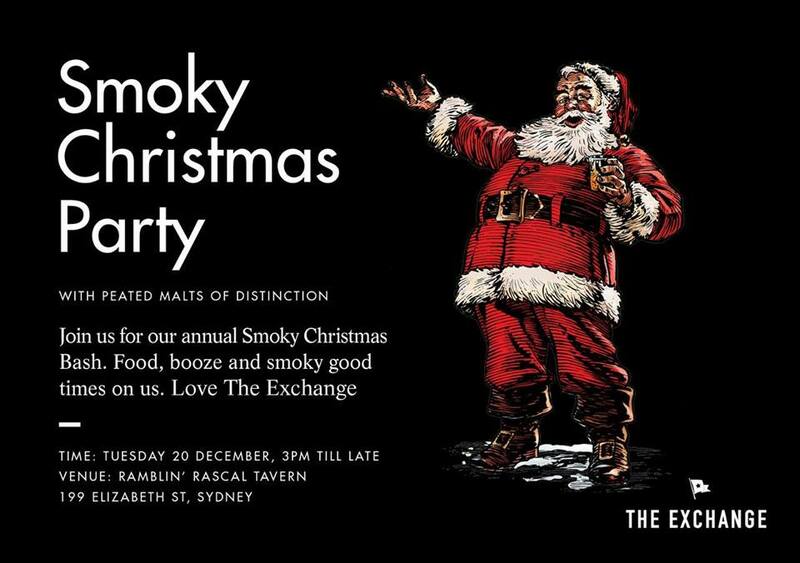 Put on by the epic group at The Exchange this year we will see it downstairs at Ramblin' Rascal Tavern in the CBD. Be sure to register interest or attendance so they know how much to cater for. Not an event to be missed. Be aware al venues have a max capacity so if you are late you just may find yourself waiting on the street. What's included the free entry? 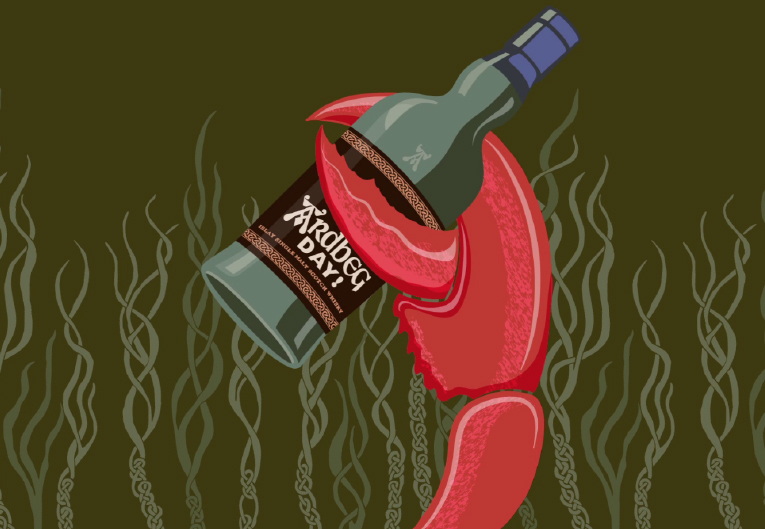 Hand shucked oysters, Mary's grub, smoky cocktails, tasty whiskies, live music and legendary company. Time: Bar and Whisky industry entry 3:00pm. Public entry 6pm. Be seeing you at Smoky Christmas? I hope so. This is a non-sponsord announcement. For any further details please defer to the official facebook event page. 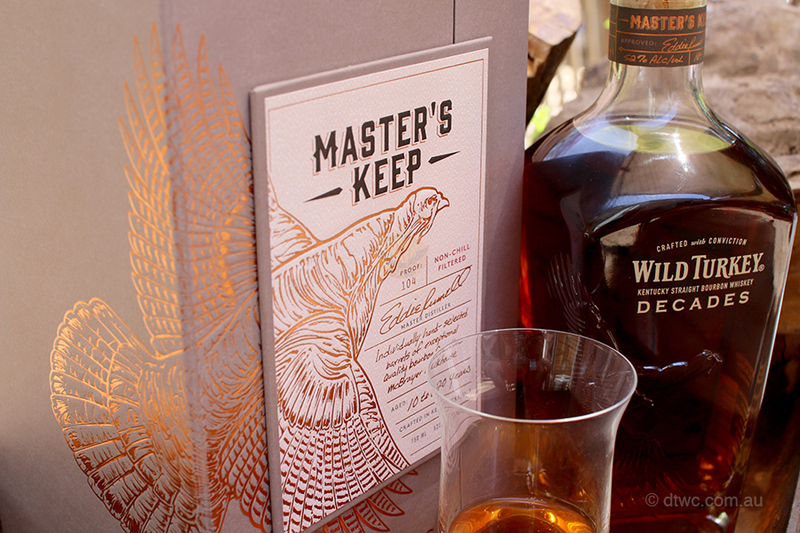 Just released and in time for Christmas is the new, improved, explosively rich Wild Turkey Master’s Keep Decades. This is another creation by Eddie Russell Master Distiller for Wild Turkey and only his second dedicated release to bare his name since his assertion to Master Distiller alongside his father Jimmy Russell. Do not take this whisky for granted. 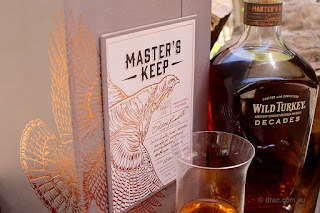 It is neither just another Wild Turkey or even just a variation of the previous release Master’s Keep 17 Years Old. What we are examining here is a rare insight into how different a Wild Turkey can become given the combination of barrel management and aged spirit. Expect oak, expect spice, expect something different. As the label suggest, ”Aged 10 to 20 years”, this is a combination of casks often already getting too old for regular Wild Turkey profiles right up to some true vintage casks. The casks are drawn only from a cross section of one warehouse. This warehouse, named the McBrayer Rickhouse, is reported to be situated in a lower elevation of the distilleries grounds adding a certain amount of stability in temperature. This stability in turn allows the barrels to age longer giving a much mellower character to the spirit. I have never been there so I really cannot say what these facts truly contribute in this case. What I do know is that the Wild Turkey grounds are rather immense leaving a lot of room for climate change from one end to the other. Contained in a large solid double fold box the presentation is exceptional considering other whiskies around the same $200 AU price mark. The manner of opening is much to releasing a gated thoroughbred. Nestle tight in the moulded shroud it can take a little prying to release but once it is out there is little chance it will be retiring in without a good run. Top notch presentation for sure and it makes the whole experience something even more special. The bottle itself is very different to any other Wild Turkey as the spirit is contained in heavy glass with an relief turkey spread across two sides. The entire design has been created to collect the light and highlight the spirit. I dare say once te bottle runs dry, many will become other spirit or water decanters for years to come. As the name suggests Decades takes on couple of meanings. “Decades” clearly defines the age of various barrels barrels spreading across 2 decades of maturation. 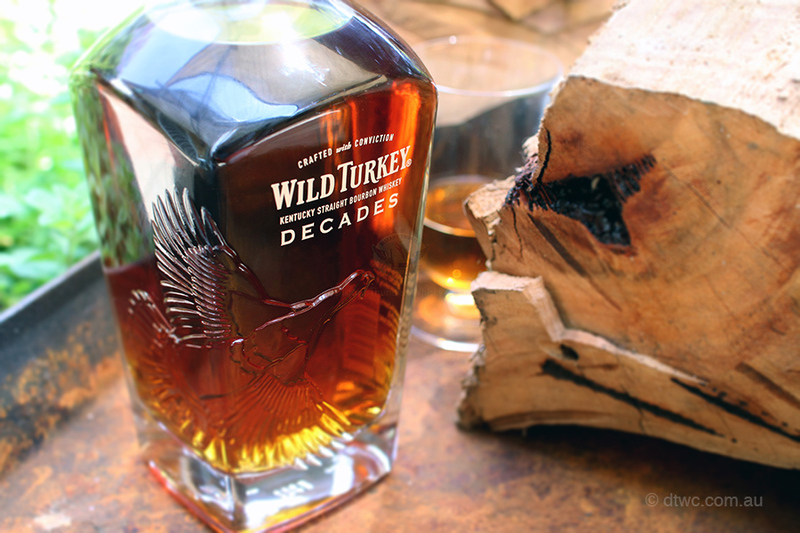 “Decades” is also in terms of Eddie Russell’s celebration of 35 years working with Wild Turkey. It is no secret Eddie likes an aged bourbon with a god whack of oak, so it is only appropriate the celebratory dram delivers just that. Nose: Wow this is a big juicy nose with rich caramel, woody sugaresque maple wood, red cherries. In fact if I was simply nosing I would swear this was a fruit strudel. More please! Taste: Texture is immediate as a viscous oily feel moves across the lips and tongue before big pickup of month spice surfaces and is going nowhere soon. Again with fruit strudel as brown sugars, red fruits, maple oak dominate before the huge hit of mint spice. Finish: Wait for it. Wait. Keep waiting. No I am still waiting. Hang on almost there. Nup this is still going on. Give this a few minutes and you might just get to the finish. This is massive in character as the spice lingers for an eternity as does the brown sugar and maple syrup. Ultimately it begins to dry but rest assured you will still be tasting this in 5 minutes time. Overall this is a cracked bourbon giving a complicated rich balance of sweetness, spice and oak. There is true excitement to be enjoyed. If I was to give a dram then a rounded 6 out of 7. I am glad I have had a chance to try this whisky as it is very different to the previous Master’s Keep release. Priced at $200 and just being released in the past few weeks putting this limit edition right on the money for a Christmas bourbon. Certainly if you are buying for gift for family or friend be sure to make yourself available for the opening. Alternatively nab one for yourself and a layout under the tree as a personal surprise. I have seen this already hating Dan Murphy's shelves for $200 and I am sure you will be seeing it at specialist stores soon also. Australia's progressive distillery Starward has been achieving higher and higher goals as the last few years have passed on. It is without question credit to the business that they have maintained quality and price in an Australia market where many average Australian whiskies have played on the back of other distilleries awards to raise their own prices in the name of great artisanal craftsmanship. Starward is not only priced well but excels in the magic of youthful Australian spirits. 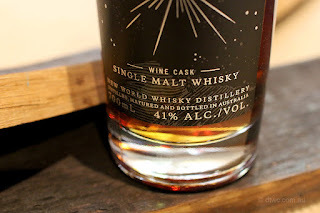 Now in its 3rd edition the Starward Wine Cask release saw release into the retail chain Dan Murphy's at a handsomely priced $75AU to $80AU a bottle. Aged at approx 3.5 years his whisky sees exclusive maturation in Australian ex-wine casks. Though the original release was almost totally ex-Shiraz casks the current release sees a combination of many wine cask styles from across Australia. Can you expect typical Starward caramelised banana characteristics? Yes though these elements are much less in the forefront. A great compliment to the classic Starward Solera Apera cask but enough removed to enjoy in its own unique environment. A great thing to know about the use of Australia wine casks and Starward is that they do not re-cooper the size of the red wine casks in anyway. Effectively they are used fresh and wet, straight off the vineyards. Where as the re-coopered Apera casks will cost around $600AU before filling, a fresh wine cask will only cost about $150AU. Not only does it deliver great economics to the distillery but it ensures they maintain a much more viable price point to keep their drams publicly accessible. If I was to give a dram this gets a solid 6.5 out of 7 for just being so well made and so affordable. I love the styles wine cask whiskies deliver as malt characteristics appear much fresher and lighter. This may be down to the potential of the sugar elements of grape matching so well with the malt or the fact the casks do not suffer so much assertion as is seen in sherry and bourbon casks. Who knows really and does it matter? If it drinks well and you can afford it then that is all that matters. Well done Starward for another cracker dram. Packaging can be a big seller. Often packaging does not live up to the hype of the product inside. In the case of the Glenmorangie Milsean your are guaranteed to get what you expect. Yet another creation by the genius that is Dr Bill Lumsden the Glenmorangie Milsean (pronounced “meel-shawn”) is the seventh single malt release from the Glenmorangie Private Edition expressions. Built on the basis that is the Gelnmorangie Original aged in ex-bourbon casks, the spirit is then extra maturation in ex-wine casks that have been re-toasted. It has been designed to be sweet, candied, fruity, and vibrant. Expect perfumed aromas, green crushed sugar cane, sherbet, sprinkles of icing sugar and citrus. 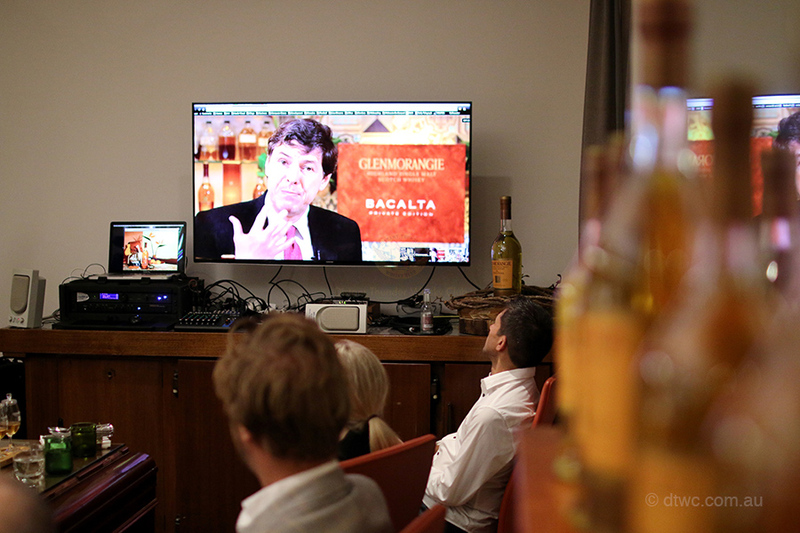 A true positive step outside the traditions of the Glenmorangie comfort zones. Nose: Light grapes, minted boiled lollies, lemon sherbet, strawberries, apples and fairy floss, salted buttered toast. Taste: Gentle and open delivering a light palate while not being as sweet as would be expected. Expressions of blackcurrant juice, rose water and toasted oak. Finish: Quickly drying with sweet floral citrus sherbet, sherbet tingle on the tongue and cheeks. Overall the combined sweeties, citrus, and dry sherberty finish has delivered a rather memorable dram. If I was to give a dram a good 6 out of 7 for price, quality and profile balance. This will take you to the candy shop and back again for sure. 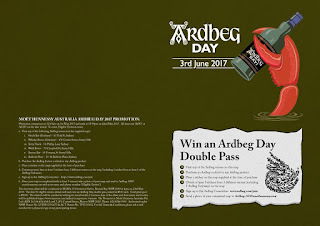 I’d recommend you go try this if you are a Glenmorangie fan and or want experience something that is not always the treacle effects of heavy sherried whiskies. 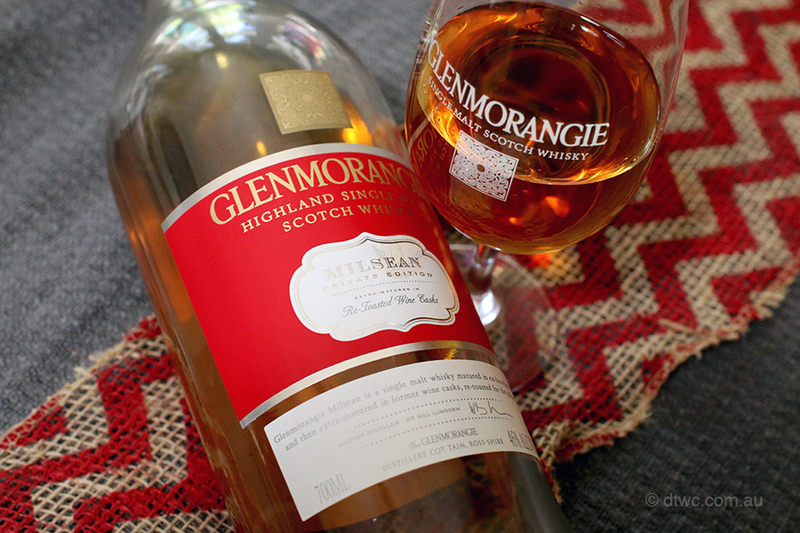 When was the last time you enjoyed Glenmorangie Original? For me it is every other week because I really do enjoy it, but for others it may have been sometime. With so many amazing whiskies accessible now we can sometimes forget about those whiskies we were originally introduced too. 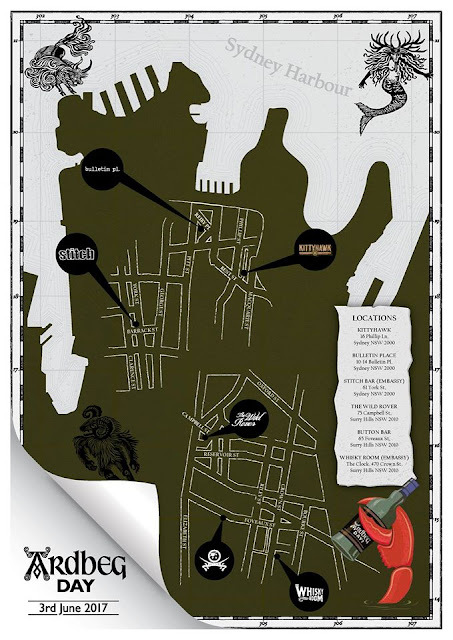 There is a Sydney whisky pop-up being launch here in the Sydney CBD titled Glenmorangie 'After Hours’. This complementary event aims to introduce consumers entering into the market while reacquainting established appreciators with the core expression Glenmorangie Original. Registration is free and tickets can be found here. Where: Parlour Lane, 49 Market St, Sydney NSW 2000. When: Thursday 20 - Saturday 22 October. 6PM-12AM. What: Glenmorangie cocktails and signature serves, paired with freshly shucked oysters, forage style grazing tables and accompaniments. For those that don't know, the core range of Glenmorangie whiskies are all based on the 10yo first before finishing aka extra maturation is completed to define obvious characteristic changes between them. If you have never had Glenmorangie before then this is the place to start!